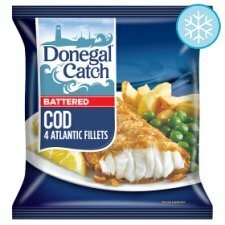 With Donegal Catch you always get great fish, straight from the Atlantic Ocean. We simply catch the freshest fish, hand fillet and prepare them, add a light coating of our crispy batter and they're ready to cook. What could be more delicious?